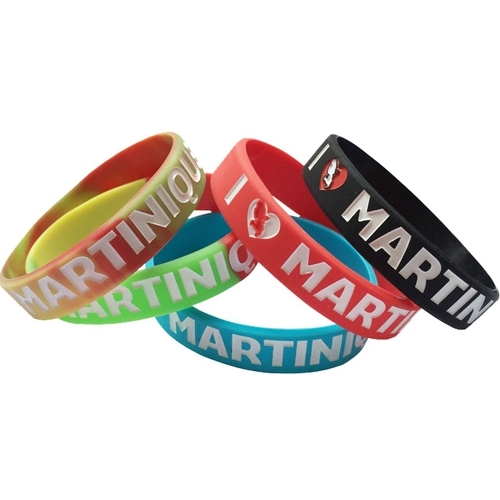 Debossed silicone bracelet with color filled in is sure to impress on advertising campaigns, conferences, sporting events, etc. Available in any color. We accept small quantity request and assorted purchase. Imprint Size: 7" x 3/8"